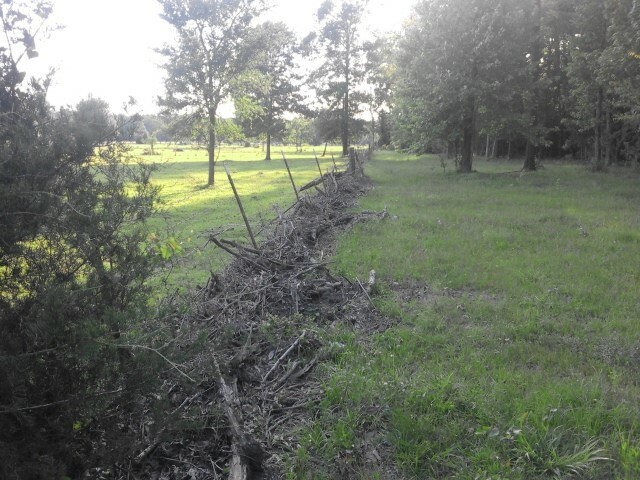 I have a pretty good fencing project coming up in the next year. I will be putting up a 4 strand that will be right at 1 mile. I am curious on opinions on the best brand if wire, gauge, points and your experience/preference. I am just wanting see what others use as I tend to develop "tunnel vision" on products. Bekeart 14ga or 15.5 ga HT is about all I've used for the last few years. Some people can handle HT...some are skeered of it and cannot. tornado 14 gauge high tensile. greybeard wrote: Bekeart 14ga or 15.5 ga HT is about all I've used for the last few years. I agree, and you might as well get the 4-barb. I don't know about your area, but at the local hardware store where I buy mine it's only $1.00 more expensive per roll than the 2-barb. I would like to add that I keep a roll of the soft barbed wire for patching fence, but I use the high tensile for new fence projects. callmefence wrote: tornado 14 gauge high tensile. Yes, but only if you want the best. Same here, Gaucho (Bekeart) is what I can find easily around here. I've tried others, but the 15.5 gauge HT is what I like the best so far. 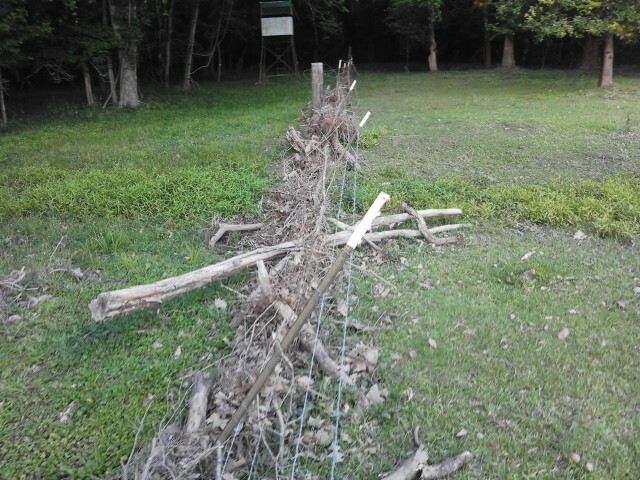 I'd still like to try some Tornado wire, but haven't had a decent fence project for a couple years to justify ordering some. I've used the gaucho 15.5 gauge 4 point and it's garbage as far as im concerned. I dunno if was High Tensile or not, but whatever i bought I have to patch on it about once a month. Heck salt .... you know fenceman right? He'll fix you up on wire,post and pipe... along with a loaner shaver..
willow bottom wrote: I've used the gaucho 15.5 gauge 4 point and it's garbage as far as im concerned. I dunno if was High Tensile or not, but whatever i bought I have to patch on it about once a month. What exactly is happening that causes the need to patch it? It Breaks. Strands break. cows pushing on it, leaning on it or whatever other reason that would cause strands to break. My other section of fence is 12.5g red brand and I never have a problem with it. callmefence wrote: Heck salt .... you know fenceman right? Did you get my text the other day? It may not have went through. I've had oak trees fall on Gaucho and it not break. 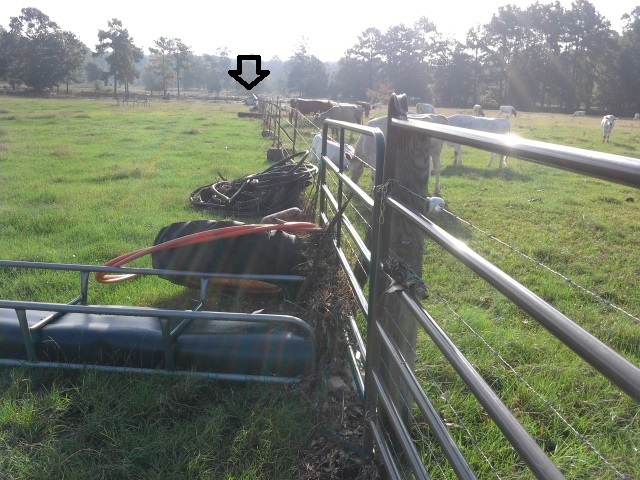 Had several billion tons of water and lawd knows how much forest debris run into Gaucho and it leaned the whole fence over along with the teeposts but when the water receded, the wire was still there unbroken. greybeard wrote: I've had oak trees fall on Gaucho and it not break. If you let that happen a few more times, you will have a solid barrier and won't need a fence. sstterry wrote: If you let that happen a few more times, you will have a solid barrier and won't need a fence.